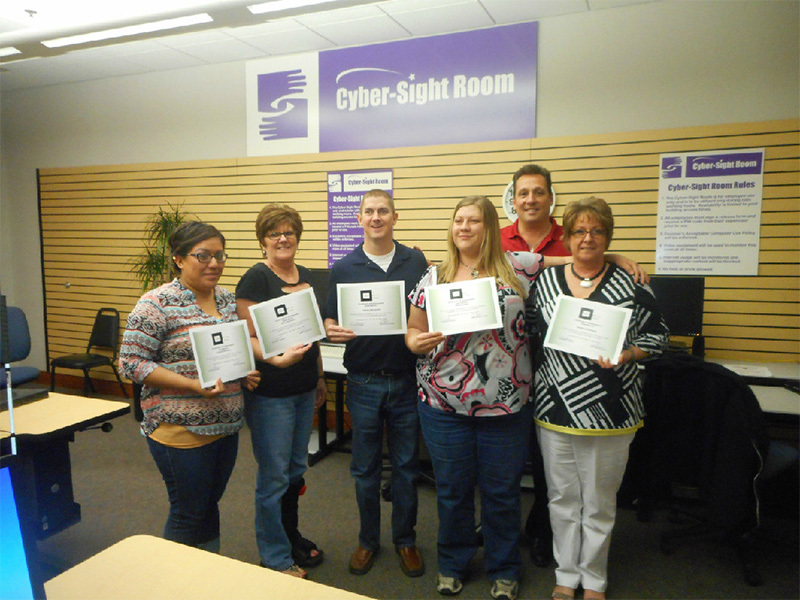 As a result of the extremely high national unemployment rate for Visually Impaired and Blind (VIB) Individuals, SCC Services Group is committed to training and developing VIB individuals to become certified Customer Care Professionals who can deliver a high degree of customer satisfaction and retention for companies that employ them. 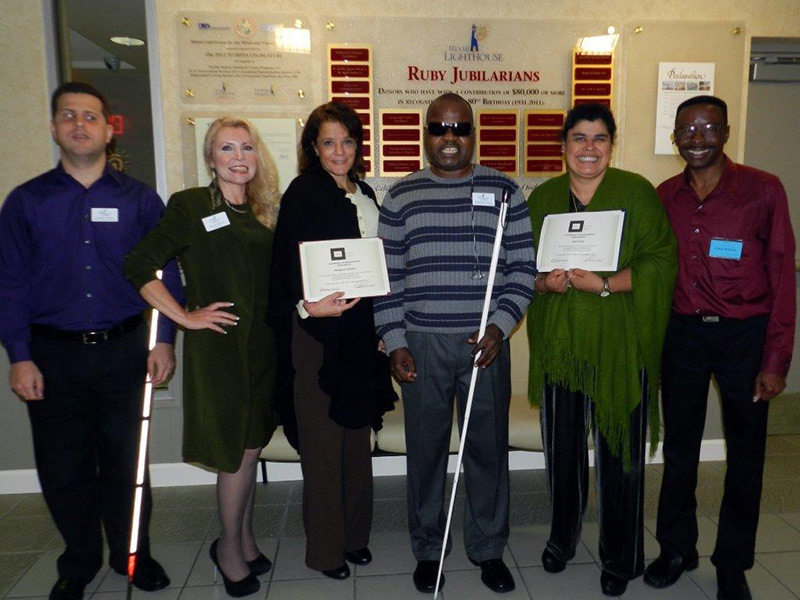 To work with non-profit organizations whose clients are Visually Impaired and Blind and work with them in delivering a quality sales and customer service training curriculum. 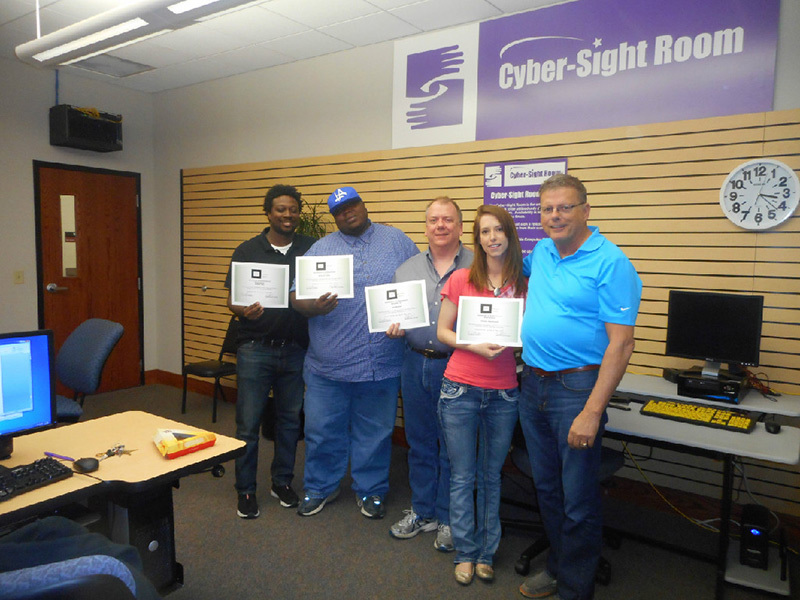 Work with non-profit organizations in identifying companies that will become a Valued Partner with them and commit to hiring visually impaired individuals. Since 2012 SCC Services Group has been actively involved with Non-profit organizations focused on Visually Impaired and Blind (VIB) Individuals. Our efforts have included training VIB Individuals and positioning them to be hired in a customer service call center or administrative position in an office environment, working to create or enhance their existing call center operations and adding Visually Impaired Individuals to the SCC Services Group Team as Business Development Coordinators working in our Virtual Contact Center and Trainers co-facilitating our Customer Care Professional / Contact Center Training Curriculum. 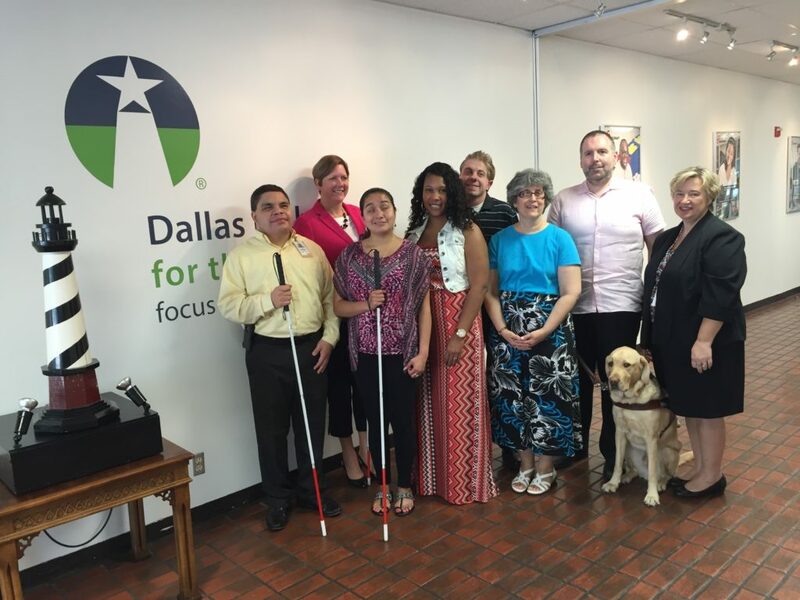 Contact Centers and “Back-shop” office environments offer meaningful and fulfilling positions to Visually Impaired and Blind Individuals and allows them to continue to operate in a “sighted world” and achieve sustainable independence. SCC Services Group is also committed to identify employment opportunities for VIB individuals and work with non-profit organizations to place their clients and reduce the high national unemployment rate for this group of people one position at a time. Working with these organizations around the country and interacting with VIB Individuals we have found them to be extremely appreciative that people are willing to work and prepare them to get back into the workforce. 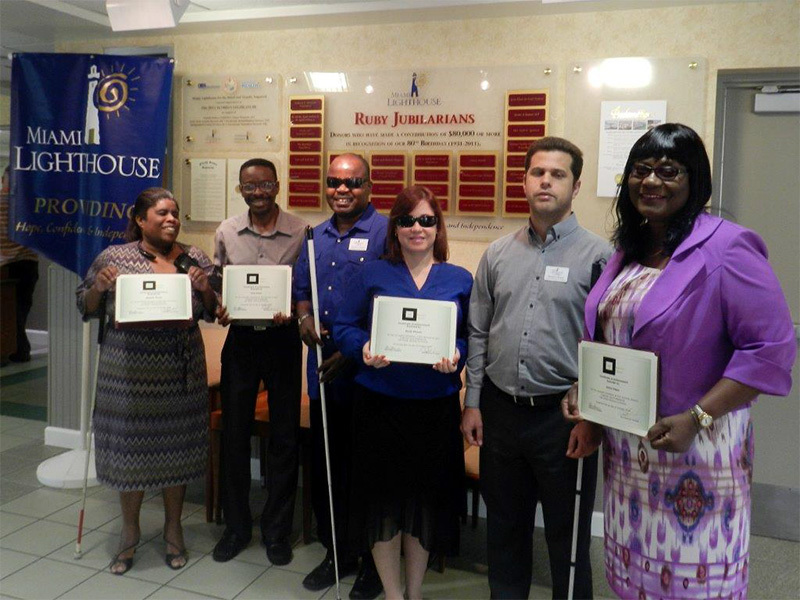 If you would like to learn more about the capabilities and skills of individuals who are visually impaired or blind please contact us at info@sccservicesgroup.com or Dave Kielkucki at 954-444-3668. I learned so much about communication skills with customers that will benefit me here at work, as well as, at home with my family. I also, for the first time ever, realized that I have some faults to work on and am excited to put the many things you taught me into practice. Words cannot describe what this training has meant to me. It was truly a joy working with you and until next time, adios mi amigo! My experience during the past few weeks has been remarkable. I have yet to see a part of my daily life or interactions with other people that can be excluded from this courses benefits. I am a better listener, speaker and most of all, I am motivated and driven to meet and exceed my personal goal and expectations. After successful completion of the Call Center Customer Care Professional Training, I found this class to be interesting and of great benefit. I gathered a great deal of knowledge about Customer Service delivery. This class has challenged me to learn how to phrase things in a professional way; namely, alleviating the usage of the word “no” from my vocabulary. Copyright © 2005 - 2019 SCC Services Group, All Rights Reserved.